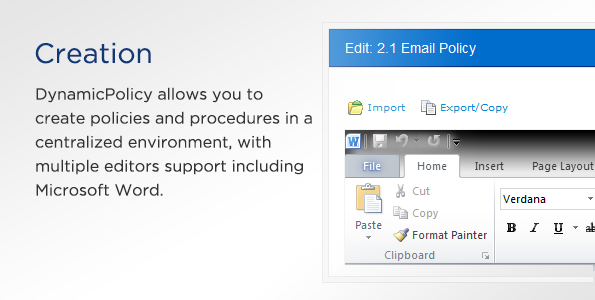 Easy document creation using Web editor or MS Word. 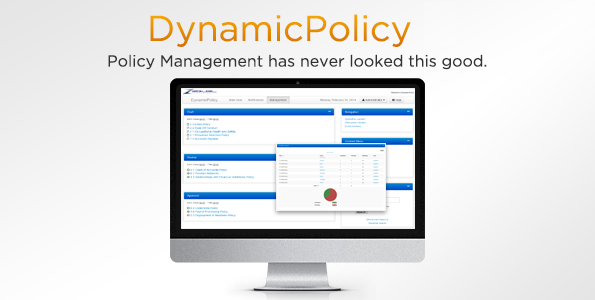 Standardized policies and procedures with templates. Customizable table of contents. Review and approval stages. Comments and reminders support. 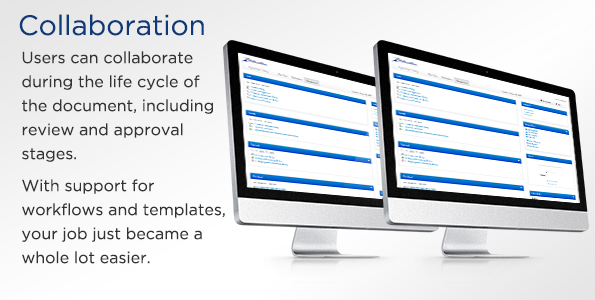 Customizable workflows. Workgroups creation. 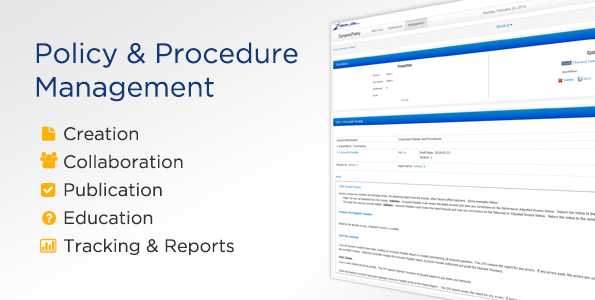 Publish policies and procedures to desired audience. Comprehensive Search capabilities. Version control and archival. Audience certification and acceptance. Quiz module. 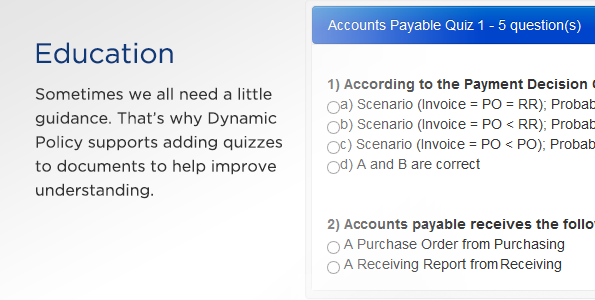 Create quizzes for desired policies and procedures. Set acceptable passing score per quiz. Measure understanding. 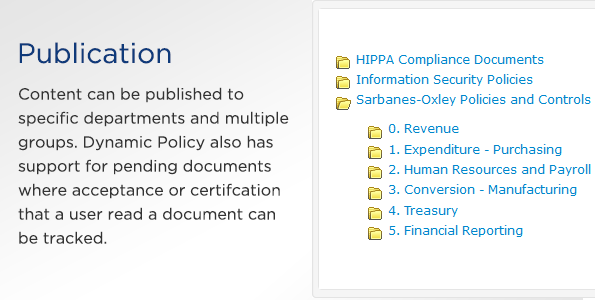 Measure compliance by user, by documents, by group and much more. 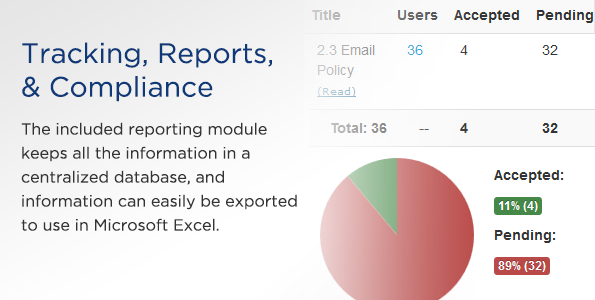 Export reports to Excel for further analysis. Send reminders for new and existing documents.